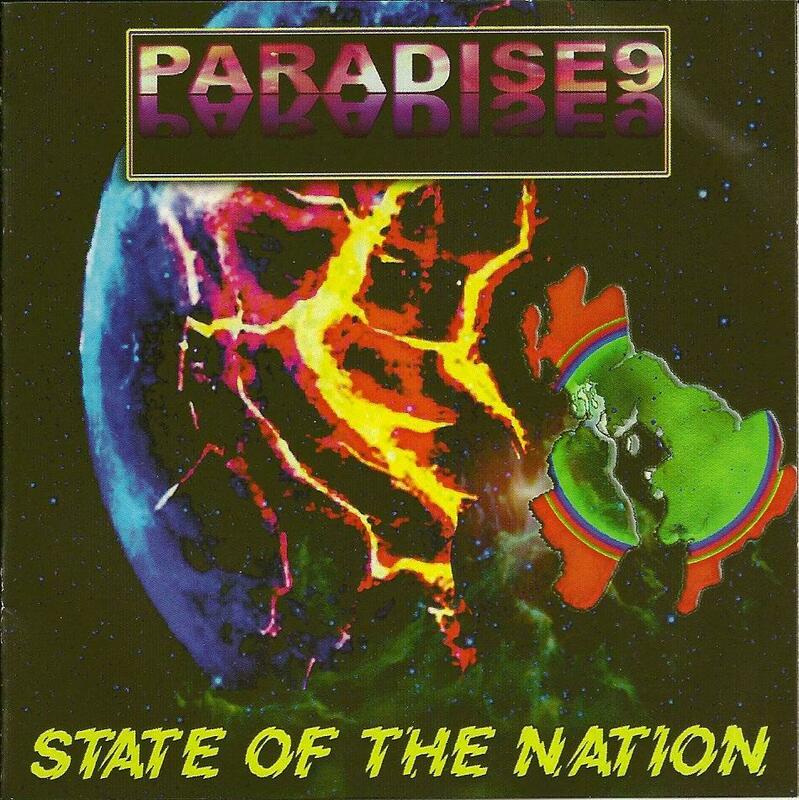 Paradise 9 have been described by some as “Hawkwind meets Joe Strummer” or “Here And Now meets Buzzcocks”, and this 20 minute EP (only their third release since 1999) certainly gives credibility to such hybrid comparisons. Of the four tracks here, the first two showcase their spikey punk-pop side, while the remaining two have distinct spacerock aspects. One over-riding influence is that of Inner City Unit (ICU), the early eighties bizarro-punk band founded by Judge Trev Thoms and former Hawk Nik Turner. Judge Trev sadly passed away in December 2010, and State Of The Nation has been released as a tribute to him, as well as featuring his guitar playing on two tracks. Album opener and title track State Of The Nation features Gregg McKella’s sneering punk vocals seemingly beamed directly from New York 1974/5 or London 1976/7, and some anarchic guitar mutilation from Judge Trev and Paradise 9 regular Tyrone Thomas (apparently McKella originally wrote this in the ’80’s and brought it out of retirement owing to the current UK economic and political climate). The three-minute Is This the Time even opens with the words “I see you / ICU” and has a definite blank generation vibe. By way of contrast, the instrumental Ocean Rise stretches out to more than double that length and is very close to being a cover of Hawkwind’s The Golden Void, with Gregg McKella’s clarinet echoing the honking sax of mid-’70’s Hawkwind (ubiquitous mutant sax-blower Nik Turner has been known to guest with Paradise 9). The extended coda of the acoustic hippy track Distant Dreams is likewise strongly reminiscent of Children Of The Sun and You Know You’re Only Dreaming. Mind you, this shouldn’t be taken as any kind of criticism; on the contrary, it is nice to know that the anarchic spirit of free festivals and sweaty clubs still lives on, even after some of the original protagonists have either moved on or passed away completely. Big Big thanx Pat for the fab =review!